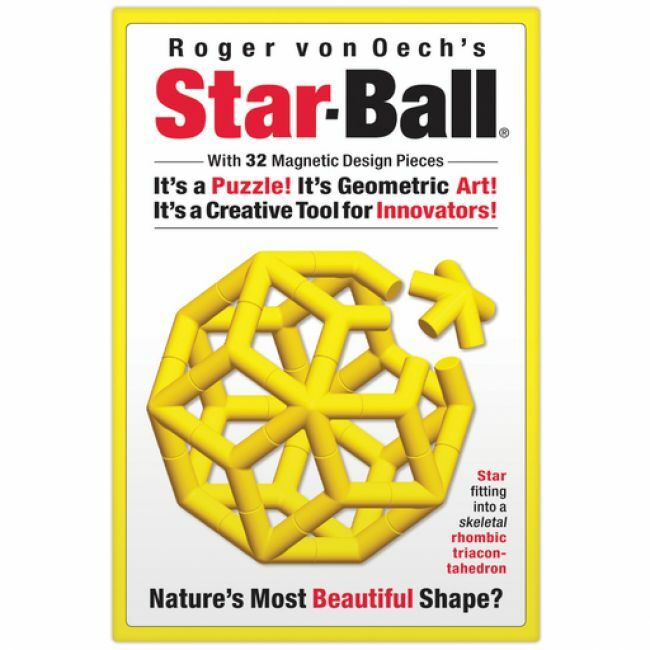 This geometric gem will both challenge and delight you! 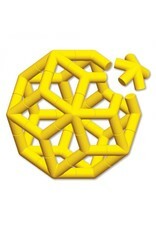 It consists of 32 magnetic design pieces. 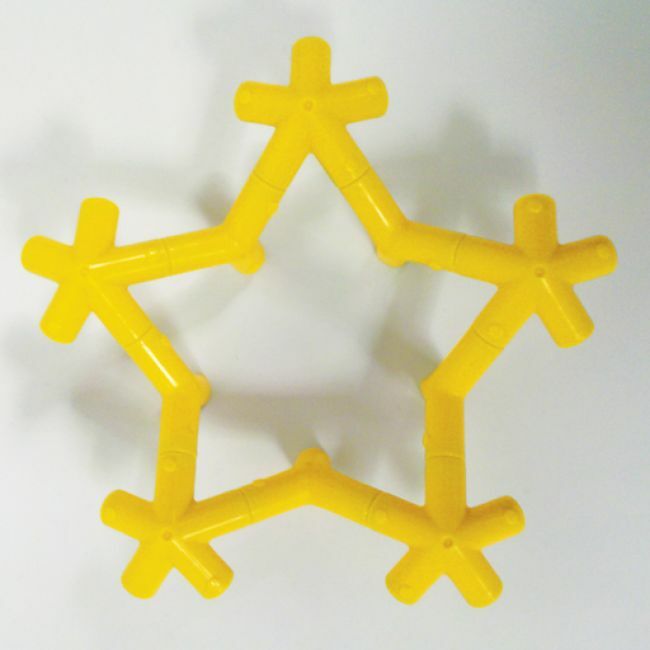 Take the Star-Ball Challenge: Use the polarity dots to combine the five-legged stars with the "tri" pieces to form the ball. 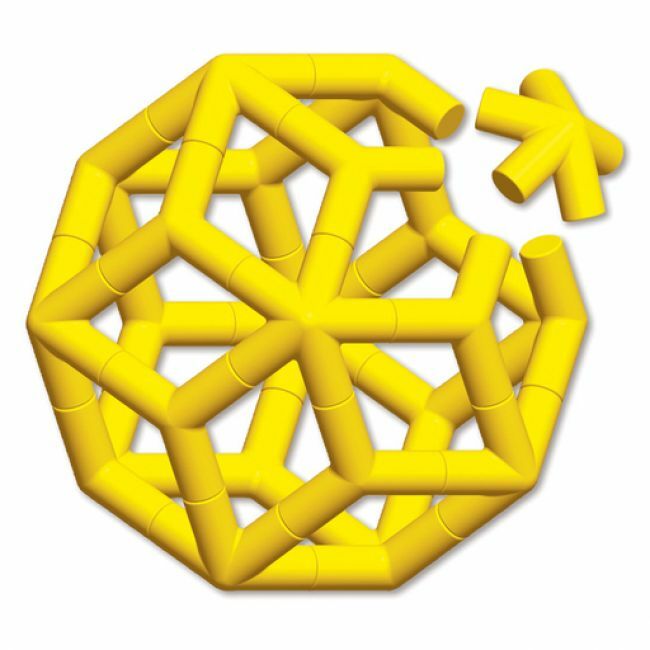 The result is a skeletal rhombic triacontahedron. 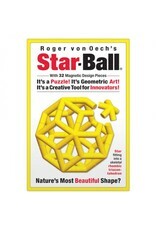 Combine Star-Ball® with other award-winning Creative Whack products for unlimited possibilities. 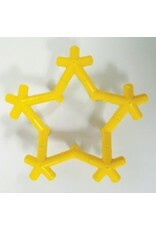 Available in yellow only.